Drunk driving prevention involves educating the public and enforcing the strict laws already in place. Will the introduction of smartphone breathalyzers help curb auto accidents involving impaired drivers in Colorado? When it comes to being pulled over for driving under the influence (DUI), officials say one-third of those convicted nationwide involved a driver that had a prior DUI arrest. The number is not much better in The Centennial State. Last year in Colorado, 40 percent of those stopped for DUI had a prior offense. Colorado has a major problem with repeat offenders, so law enforcement officials are about to launch a relatively new program aimed at drunk driving in three counties. And, for the program to work, authorities say they need help from those who have one prior DUI on their record. For several years now, state law enforcement has implemented a drunk driving awareness program called “HeatIsOn.” Next month, law enforcement will once again highlight the campaign; however, there will be an interesting addition to the campaign in three counties – smartphone breathalyzers, and those who are being asked to use them are drivers who have a prior DUI offense. The program will take place in Adams, Jefferson, and Weld counties and officials are still looking for subjects in those counties to take part in the program. Those with a prior DUI should apply if they wish to participate. Keep in mind the deadline to apply is the end of July. State police are partnering with BACtrack, who for the last 15 years has created consumer breathalyzers to help people monitor their blood alcohol content (BAC). Those taking part will be the ones collecting data and evaluating the breathalyzer. Participants will gauge how the smartphone breathalyzer influences their behavior. Smartphone data will also be collected to show the person’s BAC number and general activity. This is the third time CDOT has implemented the breathalyzers during the drunk driving crackdown. CDOT first used the smartphones in 2015 and again in 2016. Last year, 225 people participated, and 84 percent of those using the breathalyzer said it did have an impact on them and did reduce the risk of driving impaired. According to national highway officials, 28 people are killed every day in car crashes that involved an alcohol-impaired driver. In 2015, that totaled more than 10,000 people, including 181 children 14 and younger, killed in a drunk driving accident. On top of the human toll, there is the monetary toll that takes place. According to officials, the deaths and damages attributed to drunk drivers cost about $52 billion per year. When it comes to Colorado, one news report noted that in 2016, 197 people died in crashes involving an impaired driver, which was up from 2015 when there were 182 fatalities related to an impaired driver. 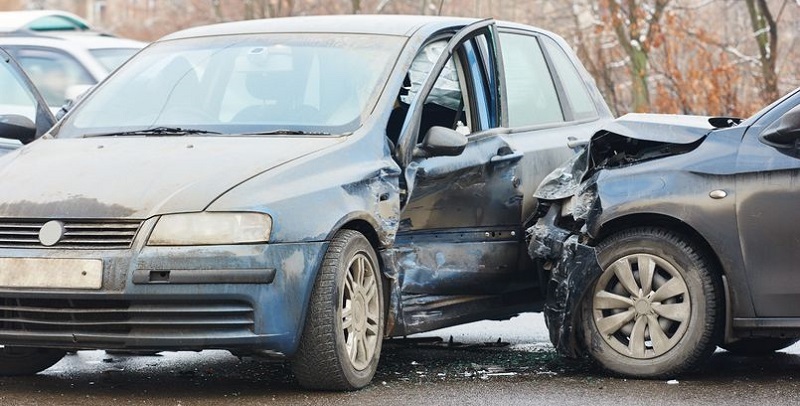 So far in 2017, Colorado has noted 283 auto accident fatalities in the state, and officials suspect nearly 100 of those accidents involved an impaired driver. When you hear the words “drunk driving,” or “impaired driving,” many think that the person caught had a BAC level of .08%, which is the legal limit for driving. However, officials want to stress that even a small amount of alcohol can interfere with one’s ability to drive a vehicle safely. For instance, a woman weighing 120 pounds who consumes just one drink in one hour can reach a BAC of .04%. A man weighing 180 pounds and consuming two drinks in one hour, can reach a BAC of .05%. With a BAC in that range, there is some loss of judgment, altered mood, a decline in visual functions, reduced coordination, the ability to track something moving, difficulty steering, and a reduced response to an emergency, among other things. All those effects can lead to an accident even though you were below the legal BAC limit. So, the next time you go out, and you have had a drink or two, just remember, it does not take much alcohol to cause you to be impaired. If you have had a drink, play it safe and take a cab or Uber so that you don’t put yourself or someone else in danger.